Another 60 wins & 223 nominations. | Christopher Nolan created an impressive blockbuster on World War 2, with the focus on survival. The most important lesson in the history of our humanity, surpassed in genre, religion among other moral aspects, is simply the survival of the species or a human being in question. Our most basic instinct is survival and when we unite, forgetting our differences (as a group of Individuals, not nations), for the sake of our survival and our well-being, the human race shines in the most intense sense possible. The cooperation between several elements, to come out alive from a complicated situation. 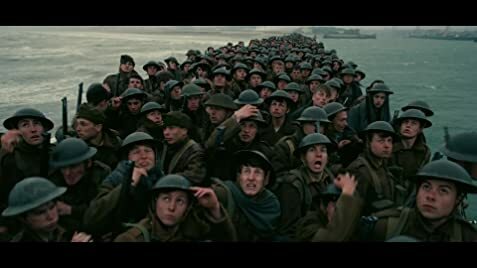 One scene, caught my attention when a group of Allied soldiers were surrounded in a ship and this same ship was being attacked on all sides by the German troops. One of the characters was being forced out of the ship to see if the tide sea was rising or not. Out of fear, this character did not want to leave the ship, it was when an English soldier replied: for the others to survive, one person has to die. Nothing is better expressed in this film and executed in a way with as much talent as Nolan achieved in making with this film. Not only by itself, the message is passed to the audience in a clear and perfect way as is demonstrated in small scenes that help convey this message and build a fitting end to the film itself. The film goes straight to the narrative and action of the movie without losing in passing with interesting monologues, unlike Inception, a film in which Nolan himself created a character with the sole purpose of explaining the rules of this universe for the audience, this is the apex of Nolan as a Film director and he performs his work in a simple and exemplary way. So Dunkirk is his smaller commercial movie, but with the bonus without unnecessary scenes that could crumble the experience of the film. The performances are excellent and accompany the director's talents (the direction of the film itself) and the script in a cohesive, simple and direct way, highlighting Fionn Whitehead, Mark Rylance and of course the very competent Kenneth Branagh. These excellent actors help immerse the audience in the cinematographic aspect of the movie itself to make the experience as real and emotional as possible. Again, congratulations to Nolan for choosing actors relatively unknown to the general public, but outstanding in their work of acting. Instead of trying to choose famous actors (whose private lives are always in the mouths of the people and the magazines), these people are celebrities and not actors. For this reason I never managed to pass the first act of Saving Private Ryan. Spielberg made a mistake filling his film with the most popular Hollywood All Star cast of famous actors at that time (their lives were so exposed that it was hard to see those people as soldiers or survivors of WWII). At this point, Nolan fared better than Spielberg. By completing this great experience, special and sound effects are applied in an exemplary way and these same technologies make almost perfect use of the IMAX screen. The technical and aesthetic aspects are very good, as it comes this habit in this type of film with this type of budget (105 millions). The cinematography is very good (almost perfect, like in most of Nolan movies) and the camera movements are agile and very beautiful. See the aerial combat of the characters of Tom Hardy (Farrier) and Jack Lowden (Collins) in aerial planes that looked with great and amazing beauty in fighting against the planes of the Germans. A technical amazing work of Nolan and his production team. Amazing, no doubt. Especially on the IMAX screen, where the film shows all its beauty, and if there is a movie that deserves to be seen in IMAX, it is one, this new work of Christopher Nolan, no doubt. The ambitious ideas of the filmmaker and the great sequences in parallel assembly that characterize his works. Making the storytelling move to viewers in three different locations (The Mole, The Sea and The Air). In a cohesive, precise and confusing way. This film shows a great talent of Nolan, and it reaches his talent to create sequences in parallel assembly the characters of the film in a brilliant way. The soundtrack composed by the veteran Hans Zimmer is amazing, Hans in turn creates a memorable theme for the theme of World War II. Fantastic and great. The great and only problem I see that disturbs the experience of the film is limited by the PG-13 and thus limit the blood and violence, for God's sake, it is a film about a war blood and violence are common. At times it seemed like I was looking at some scenes and these same scenes seemed so artificial and displaced from the film itself, like the scene of the soldiers corpses coming to the beach, or the English troops being smashed by the sinking ship (two clear examples that PG-13 influenced negatively the movie). 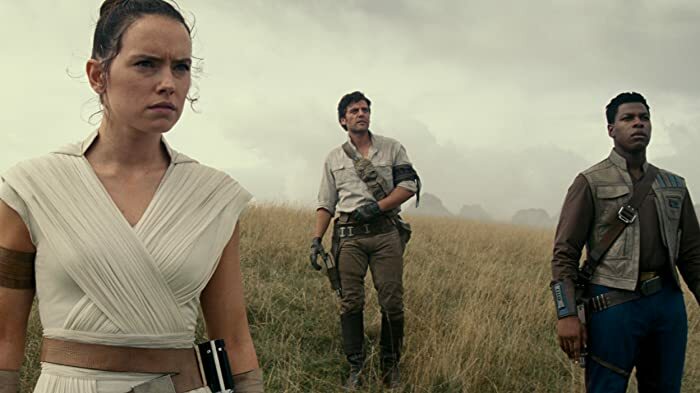 One problem that some people go through seeing this movie is the lack of depth in some characters, however there are characters with depth, but not the kind of depth shown through dialogues or exposition. Nolan wanted to show something bigger. And I think Nolan did it. Nolan created in this movie to show the question of survival and its consequences in the lives of the people close to war and the soldiers who were fighting in that war. He wanted to show us how and survival define us, and I think he got the message very well across this movie. Even for this, he sacrificed some dramatic depth. Depth for certain characters, however Nolan passed a larger message, which surpasses any dramatically deep element. Nolan wanted to get something bigger. And in my opinion he did it. Mr. Dawson's boat is flying a blue ensign flag (because he was a member of a yacht club and/or was retired Royal Navy); most of the other boats are flying the red ensign, which designates a merchant ship. Tommy: English! I'm English! Anglais! The movie uses silence to create tension, where Dunkirk was often very noisy due to heavy air and artillery attacks on the evacuation zone. "This film is dedicated to all those whose lives were impacted by the events at Dunkirk." In Spain, the film was projected on 2.35:1 screens in the 2.20:1 aspect ratio. But the film was finally projected with black bars on the four sides of the screen. This same situation happened with Jurassic World (2015) and just before the film started a text appeared on the screen explaining the 2.00:1 aspect ratio fitting on the 2.35:1 screen adding black bars up an down. Dunkirk (2017) didn't show any explanation before the film.